The Shioda International Aikido Federation (SIAF) was founded by Yasuhisa Shioda, the third son of Gozo Shioda, who was the founder of the Yoshinkan style of Aikido. Gozo Shioda trained for many years under Aikido's overall founder, Morihei Ueshiba, and he became one of Ueshiba's most accomplished students. 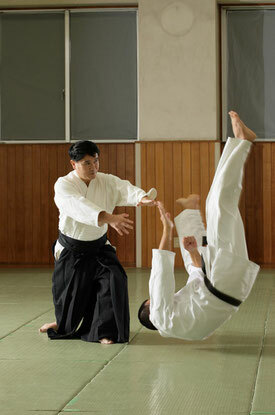 During his training, Shioda came to understand Aikido as Budo and as an art of harmony and self-cultivation. Eventually he opened his own dojo, the Yoshinkan, of which he became kancho, and his effort was to translate the principles and teachings of Aikido into actual practice. Shioda Kancho's grand hope was that the teachings of Aikido would be made available to people throughout the world. With the formation of the SIAF, Yasuhisa Shioda is dedicated to ensuring that his father's hope becomes a reality, and that is the SIAF's mission.